It's that funny feeling all over again. It’s that funny feeling all over again. 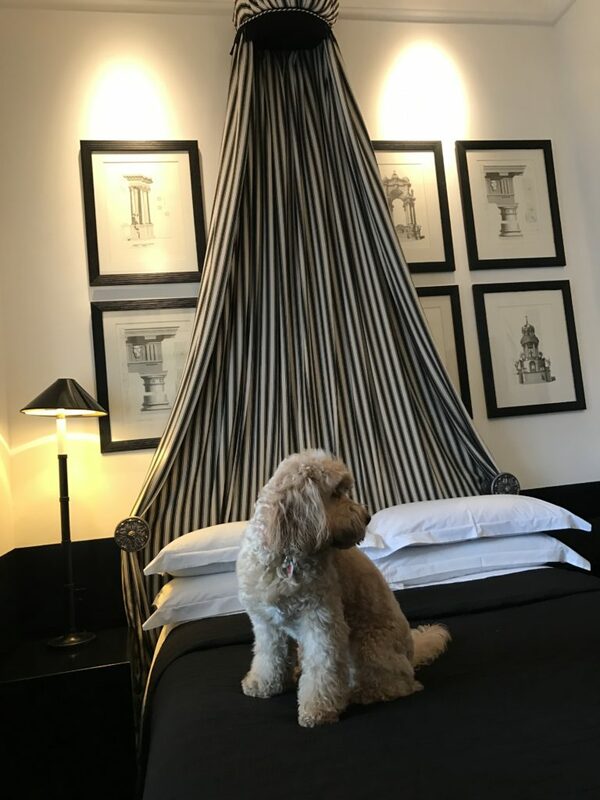 Last night we had me and Mummy time at Blakes Hotel while George had a sleep over at Jaffa’s – before the “lovers” are apart for almost two weeks. 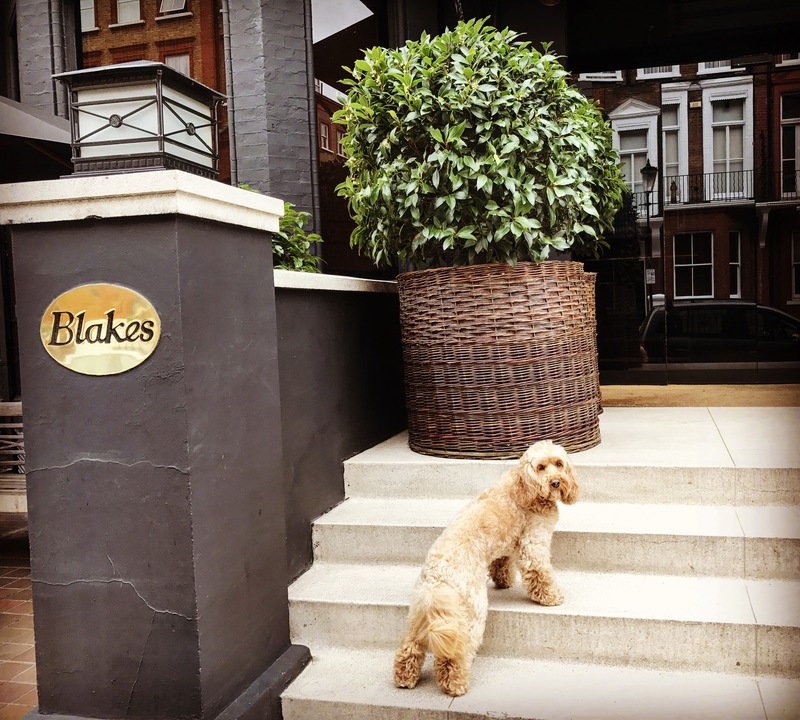 Blakes has always been one of our favourite hotels. 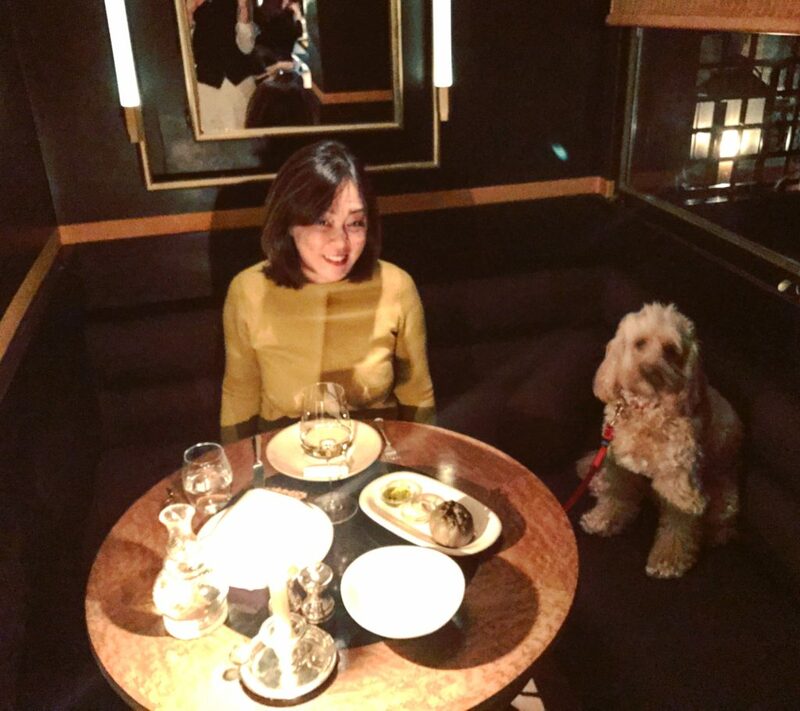 The room was a little on the cosy side – even more noticeable after our lavish night at the Hotel Cafe Royal! LOL! But it is a lovely hotel, importantly dog-friendly. And according to Mummy, it is a study of how to make small rooms feels grand! Also, we used to be able to dine at the restaurant but since they recently refurbished their restaurant, they have changed their policy. We could, on a nice day, sit in the back garden. But last night, they made an exception for us. It was a Monday night, and it was quiet so they gave us a table at the back. And it was a lovely table. After our last night together, we quickly swung into action the next morning. 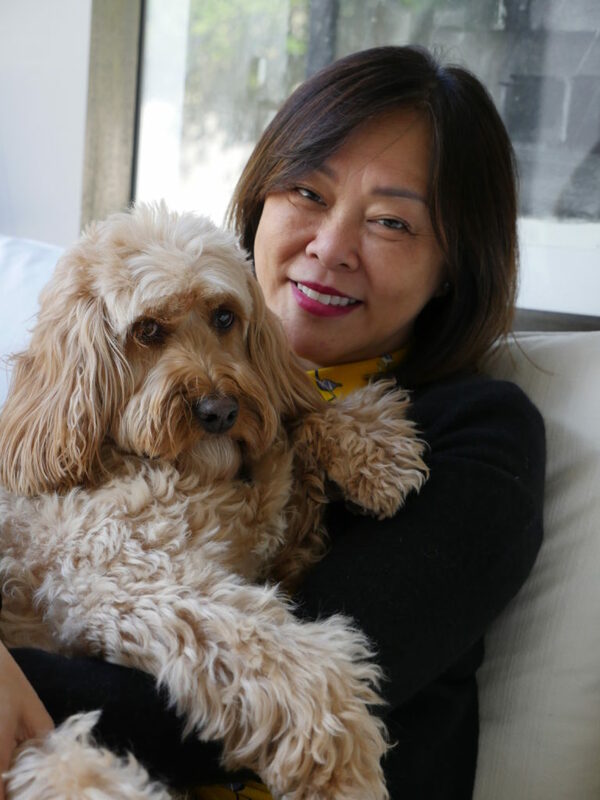 Mummy had to pack my bag with sustenance and of course my special shampoo so Sarah can transform me back to a city dog after ten days of roughing it out in the countryside. 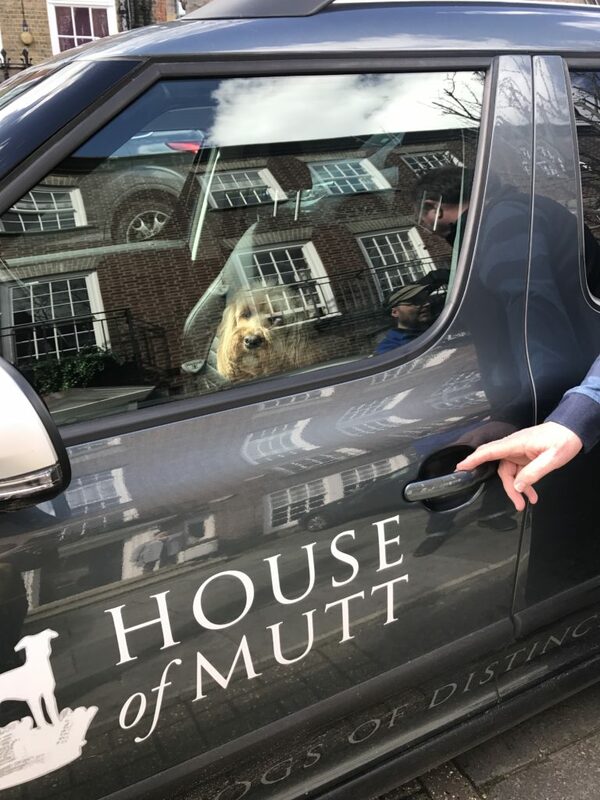 One last cuddle before the House of Mutt car pulled up. I know Mummy always feels really sad when she has to see me off. It’s just a mummy-thing, isn’t it? But she’ll be alright especially when she sees photos of me on the House of Mutt Facebook page, she will know it’s a good thing to have done. Enjoy yourself and hope the travel won’t be too stressful for you and for George. May’s comment: It’s that strange sensation again, with a knot in my stomach we bid adieu to each other. Even though I know she’s off to a place she loves and where she will be safe, well looked after and have a blast, the parting always makes me feel all funny. It is just strange to think she’s being driven in a car – all by herself, to the country side and I’m not with her. Take good care of my baby! I know that once I get on my way with my travels and this time, minding little George everything will be ok again and we can all enjoy our time while apart. Because I know she’s safe and she’s happy. Good Luck & hope your journey is as smooth as possible. 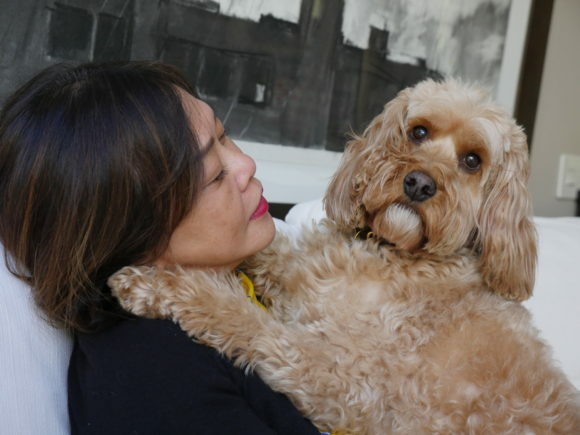 Dreading leaving my pup in two weeks when we visit HK & Malaysia.